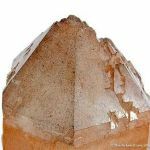 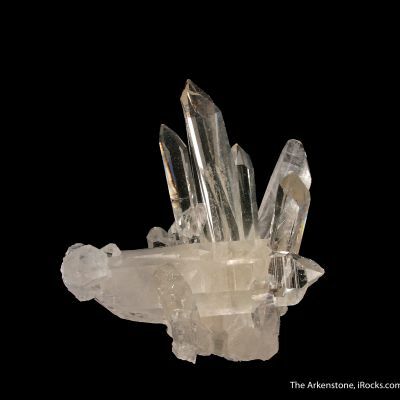 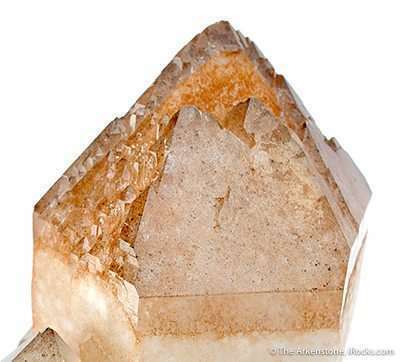 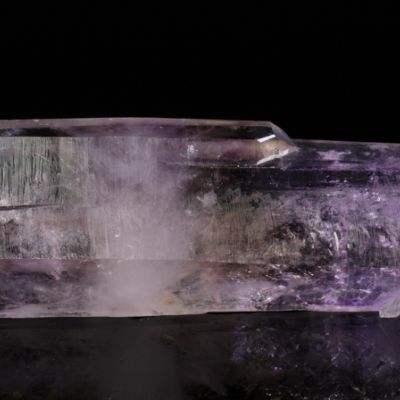 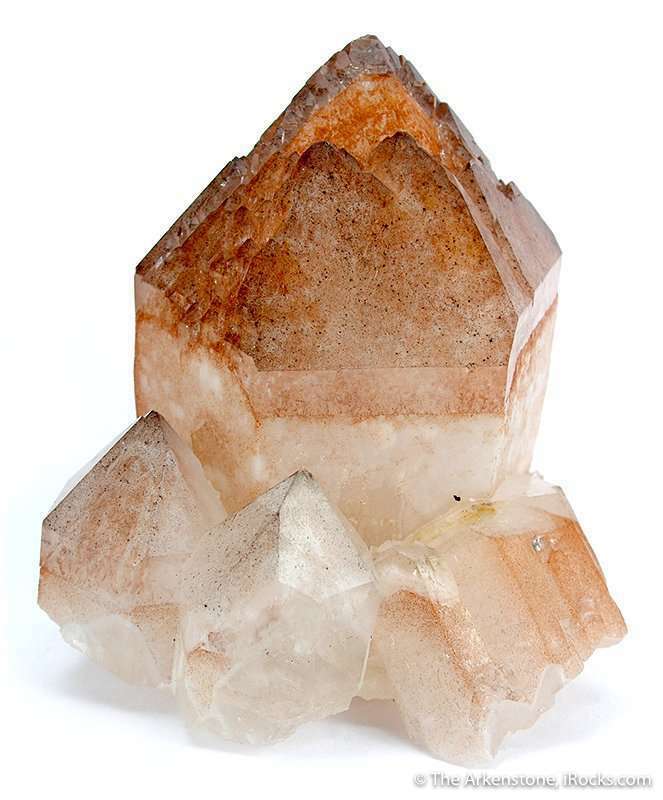 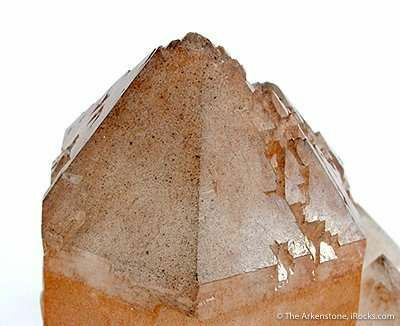 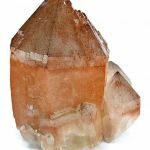 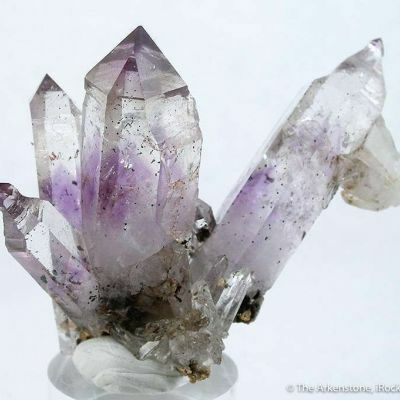 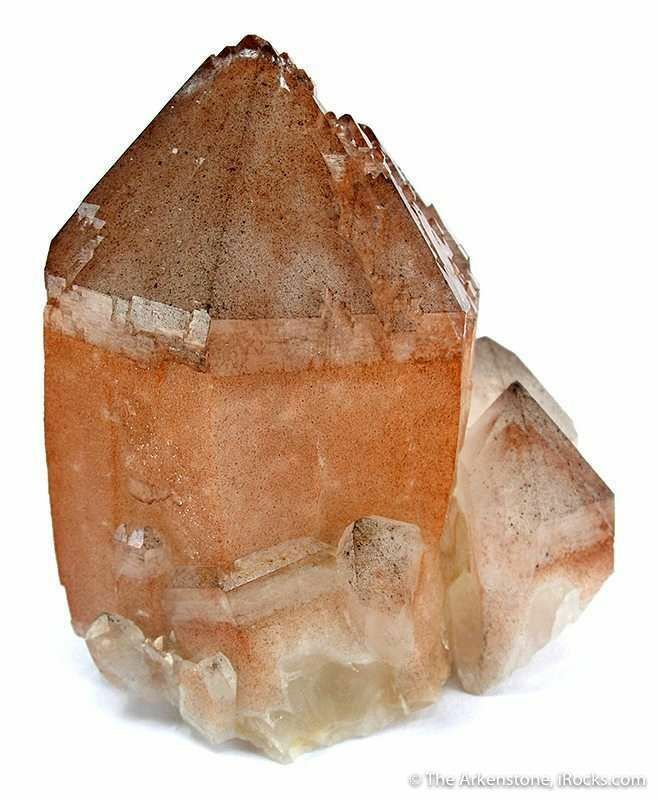 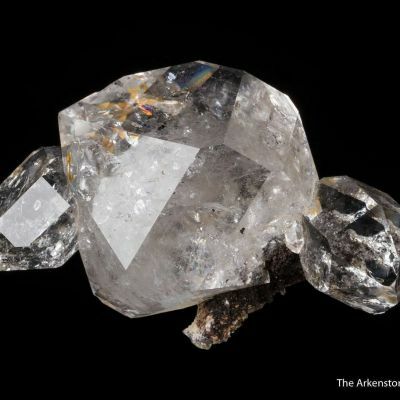 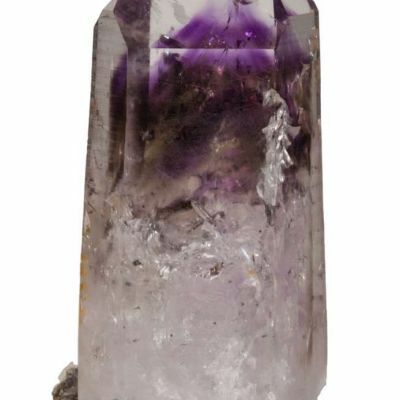 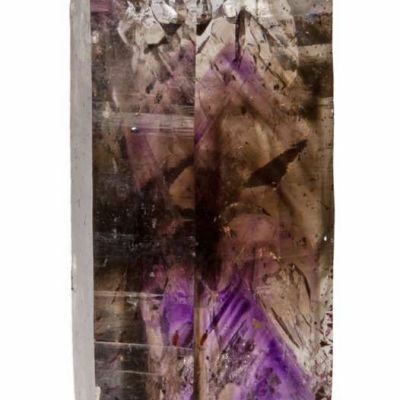 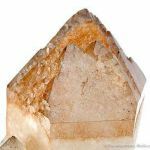 An original core of a milky quartz crystal has been remade by a second generation of gemmy, hematite included quartz. 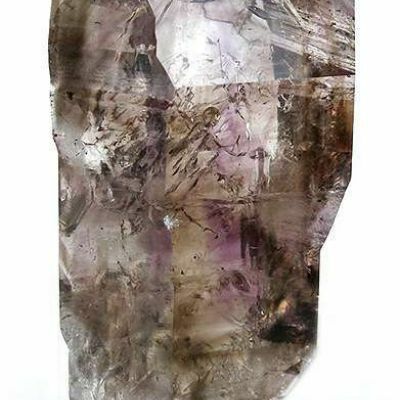 In fact, the color and luster is different for the prism faces, being rose colored and matte luster, from the terminal, bi-pyramidal faces, glassy and smoky colored. 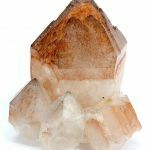 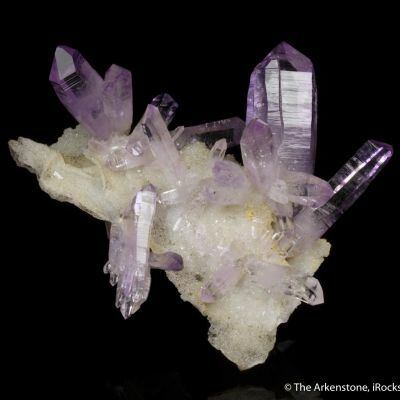 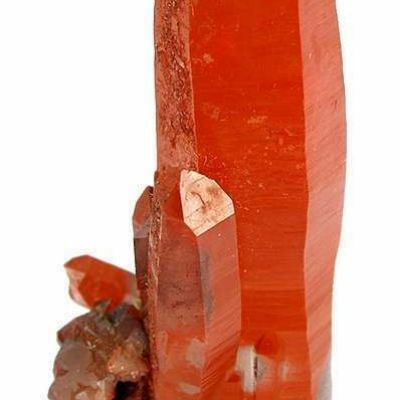 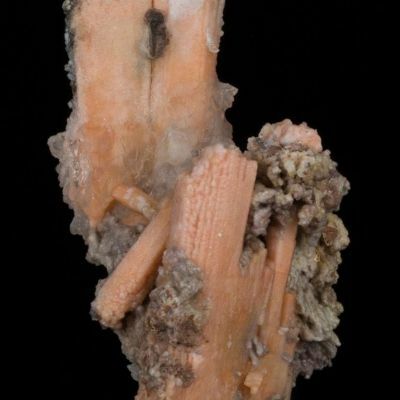 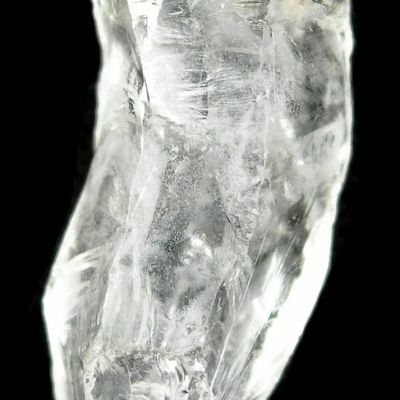 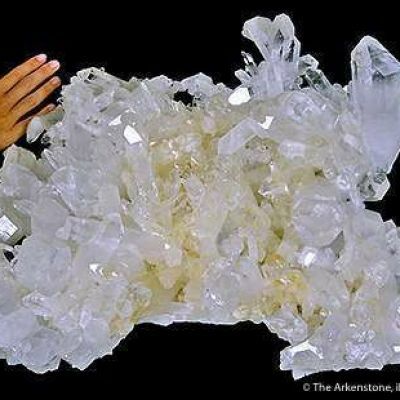 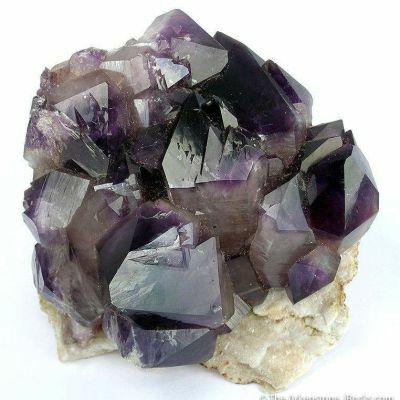 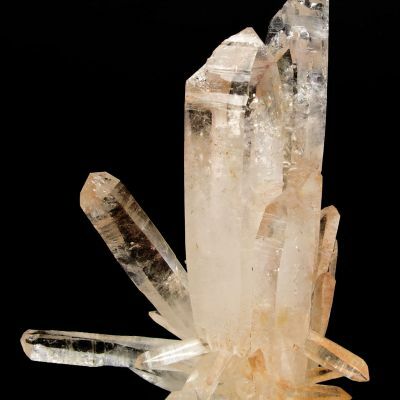 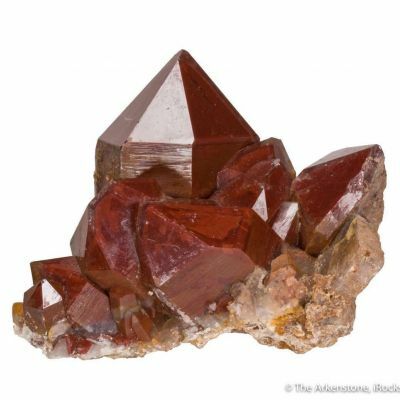 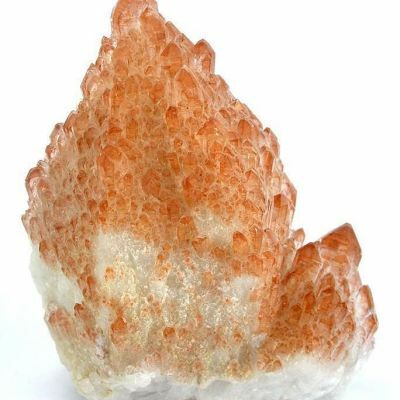 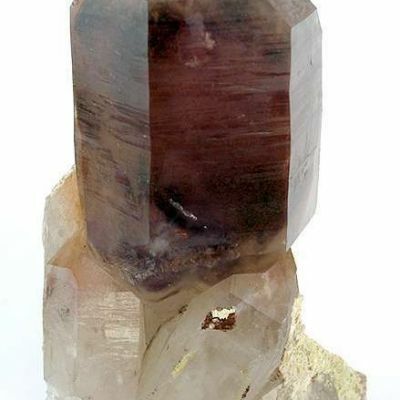 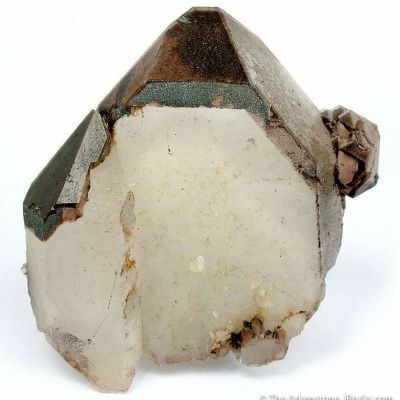 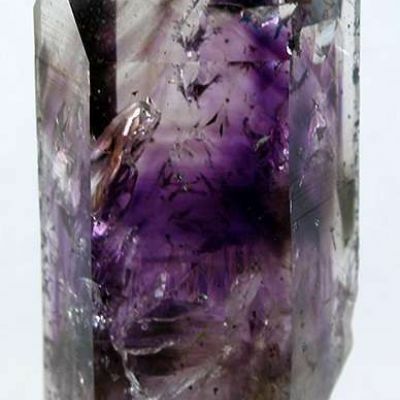 The large crystal, 7.5 cm in length, is wreathed by smaller and similar versions. 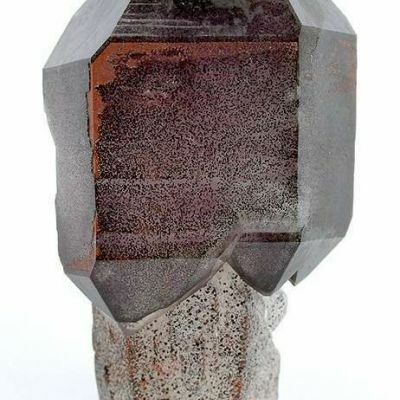 In person, its very complex and interesting.